Many would have a hard time believing that hunger is an issue in North Texas. The North Texas Food Bank knows better. 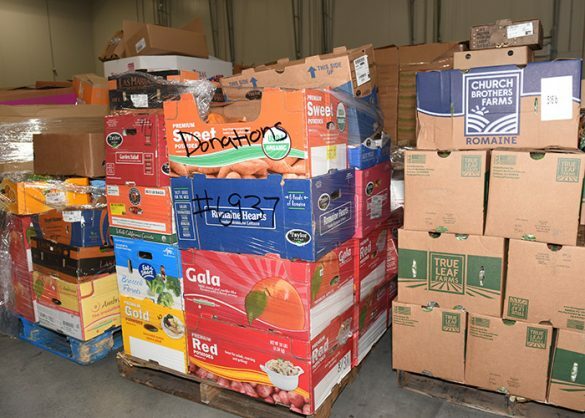 Right now there are more than 800,000 people across their 13-county service area who are food in-secure – meaning they don’t always know where their next healthy meal will come from. According to Feeding America’s Map the Meal Gap, more than 132,700 of those are in Collin County alone. 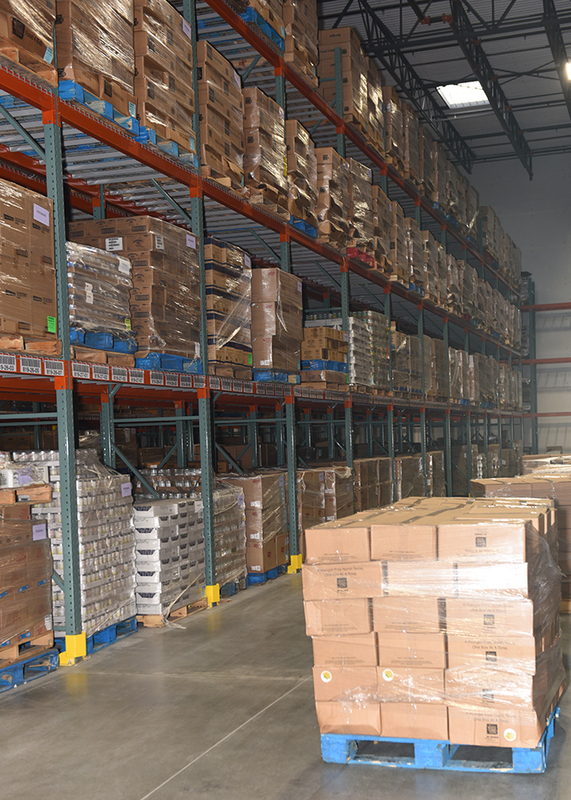 The NTFB already provides access to 190,000 meals every day through its partnerships with over 200 agencies across Texas, but they know they can do more, and the organization is thrilled that its new facilities in Plano will allow them to better accomplish their mission. Limited access to good food leads to other issues, including long-term health issues that can, in turn, lead to continued poverty. Their services can make a big difference in an entire community long-term. Erica Yaeger, Chief External Affairs Officer for the NTFB knows that for as much as they’re doing, they are not reaching everyone in need. She says, “In 2015 the Food Bank created our game plan for how we would take on the meal gap and work our way to providing 92 million meals by 2025.” They knew that it would take a commitment to three pillars to achieve this goal. Through network expansion, improved client visibility and community engagement the agency is strategically working to ensure that everyone who needs their services has access to them. The organization is confident their new facilities in Plano will help them to do what they’re so good at even better. 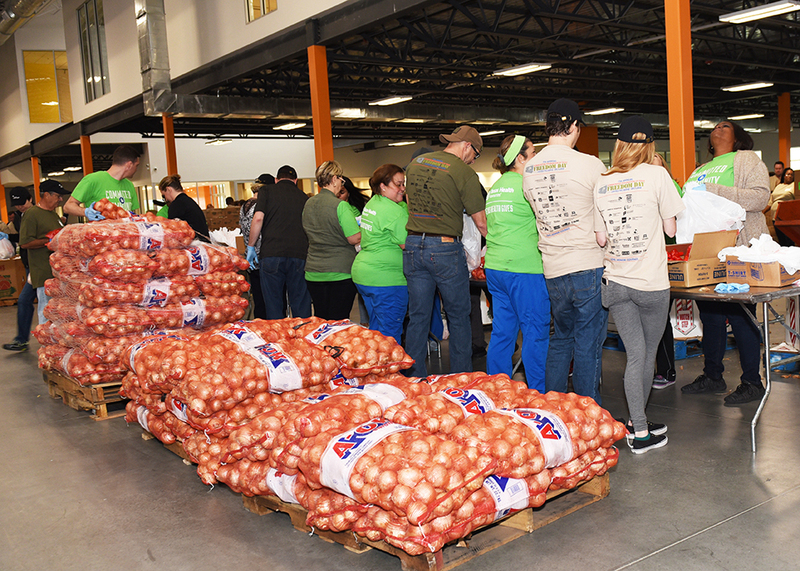 “Our vision is to create a hunger-free, healthy North Texas and we know that in order to do this, we must have the support of the North Texas community. In order to deepen our roots with supporters, we have moved our distribution and volunteer operations to our newly constructed Perot Family Campus in Plano. Doing this will allow for the many corporations in the area to spend time volunteering with us, and it will also open doors to new supporters in the region.” The new warehouse is over 230,000 square feet, and there will be space for a community learning garden and even party rental packages available. 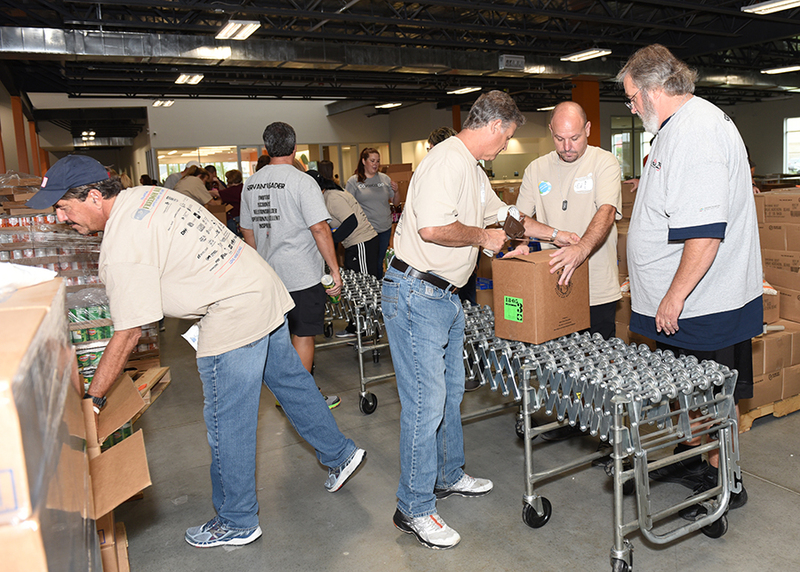 Ultimately, everyone can be part of the NTFB. 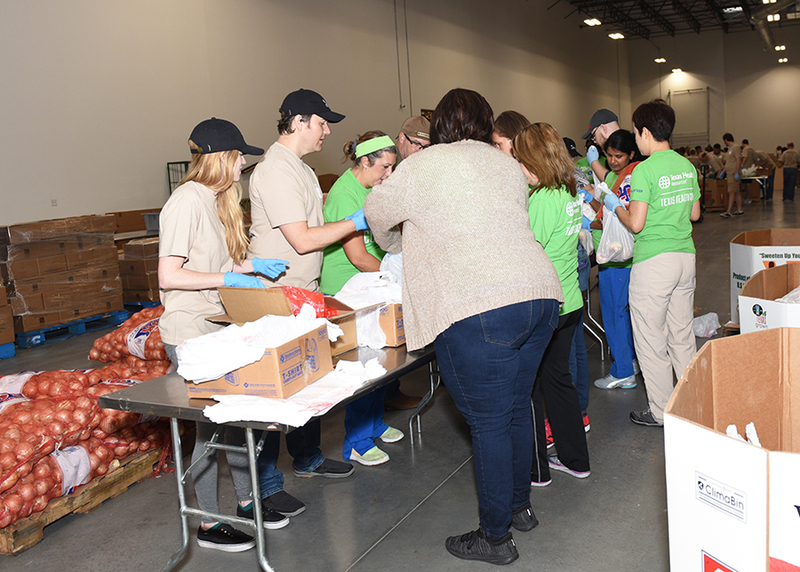 Whether you donate food, funds, personal time to help at your local agency, or just donate your voice as an advocate for NTFB – sharing the need and their mission – you can make a difference. After all, everyone deserves to know where their next meal will come from. 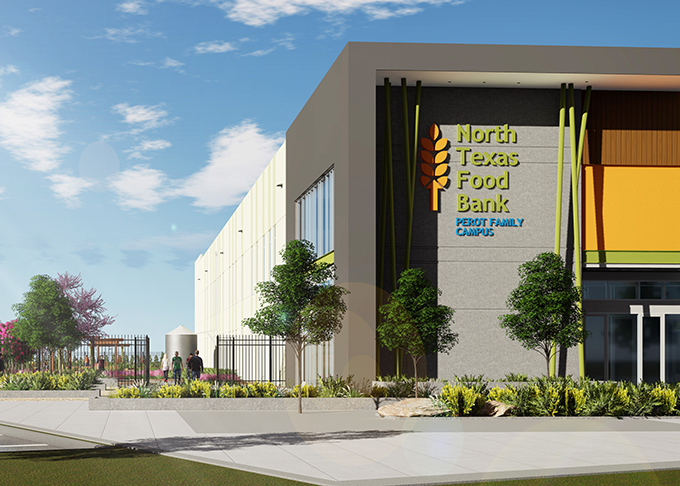 Supporters are invited to come to NTFB’s new facilities on September 16 for a grand opening event! This will feature food trucks, family fun and tours of the space. FREE tickets are available at ntfb.org/grandopening. 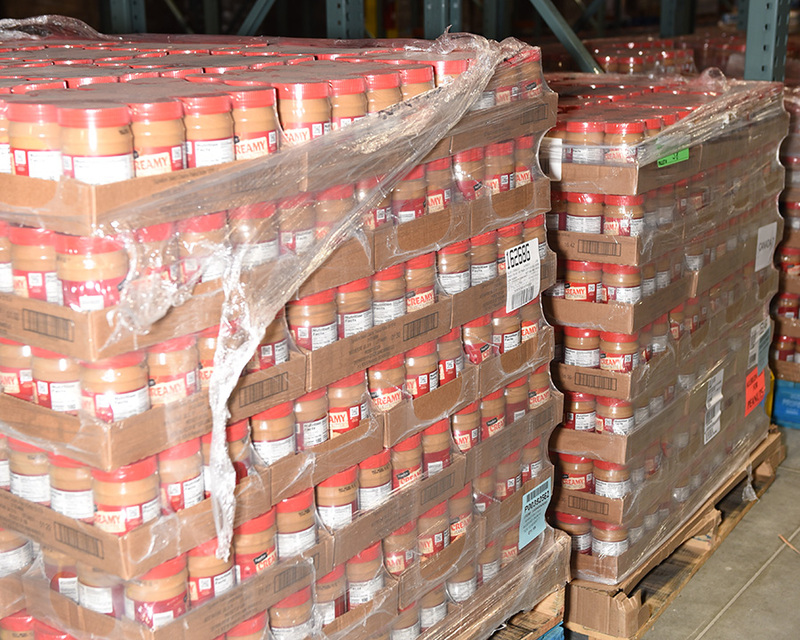 For more information on the Plano Peanut Butter Drive including collection sites visit www.ntfb.org/planokids. The brand new NTFB Perot Family Campus in Plano, TX houses up to 7 million pounds of food and provides access to more than 190,000 meals each day for hungry children, seniors and families across a 13-county service area. The new facility is part of the NTFB’s game plan to tackle the “meal gap” in North Texas by providing 92 million meals a year by 2025.